Chinese translation of Economic Science and the Austrian Method Hongchao Tan. Le libéralisme anarcho-capitaliste: qu’est-ce que c’est ? 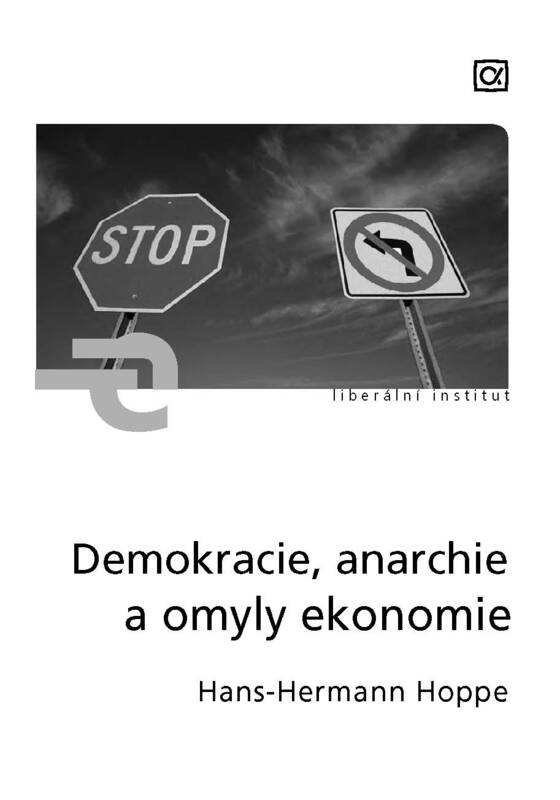 : Interview radio de Hans-Hermann Hoppe à l’Australian Broadcasting Corporation (ABC), French translation of Radio Interview with Hans-Hermann Hoppe on Anarcho-capitalist libertarianism: What is it? 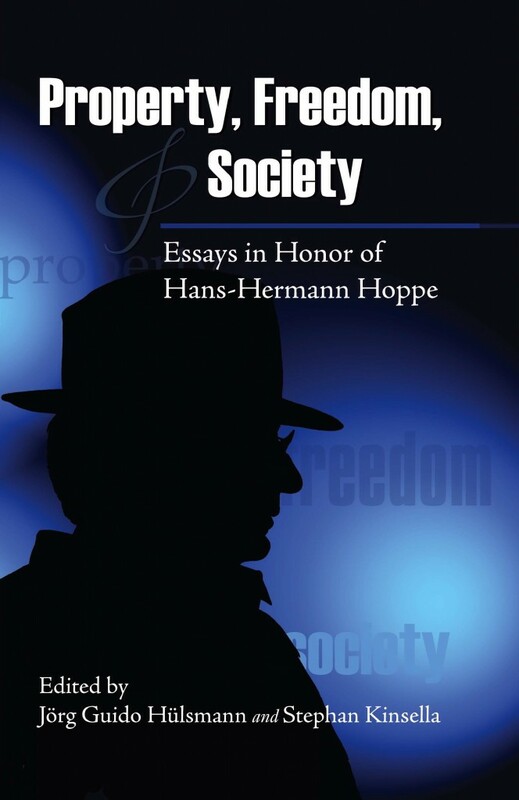 Hoppe Radio Interview on Australian Broadcasting Corp.
Du conservatisme et du libertarianisme. Par Hans-Hermann Hoppe. French translation of chapter 10, “On conservatism and libertarianism” of Democracy The God that Failed. De la théorie économique du laissez-faire à la politique du liberalisme, translation of chapter 11, “From the Economics of Laissez Faire to the Ethics of Libertarianism,” and the Appendix, “Four Critical Replies,” of The Economics and Ethics of Private Property. Interview radio de Hans-Hermann Hoppe à l’Australian Broadcasting Corporation (ABC), French translation of Radio Interview with Hans-Hermann Hoppe on Anarcho-capitalist libertarianism: What is it? Hoppe Radio Interview on Australian Broadcasting Corp.
German translations are contained on this separate page. Greek translation (Oikonomika Blog) of Philosophie Magazine Interview on Taxation. Społeczeństwo prawa państwowego czy prywatnego? (video) – Society based on the public or the private law? 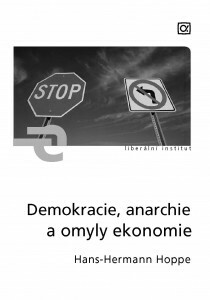 Dlaczego Mises (a nie Hayek)? – Why Mises (and not Hayek)? Czy Austriacy muszą brać pod uwagę obojętność? – Must Austrians Embrace Indifference? Mises contra Hayek – o socialismo é um problema de propriedade ou de conhecimento? A questão do dinheiro entesourado – é prejudicial para a economia? “Impostos, moralidade e ética,” Mises Instite Brazil (Mar. 14, 2011), translation of Philosophie Magazine Interview on Taxation. Libertad o Socialismo (Liberty or Socialism) (Universidad San Francisco de Quito, 2009). Reflexiones sobre el Origen y la estabilidad del Estado, Spanish translation of Reflections on the Origin and the Stability of the State, LewRockwell.com, June 23, 2008, traduccion de Rodrigo Betancur. Reflexiones sobre el Estado y la Guerra, Spanish translation of Reflections on State and War, LewRockwell.com, November 22, 2006, traduccion de Rodrigo Betancur. Orden Natural, el Estado y el Problema de la Inmigracion , Spanish translation of Natural Order, the State, and the Immigration Problem, Journal of Libertarian Studies, Vol. 16, No. 1 (Winter 2002): 75-97, traduccion de Rodrigo Betancur. Propiedad, Causalidad y Responsabilidad, Spanish translation of Property, Causality, and Liability, Quarterly Journal of Austrian Economics, Vol. 7, No. 4 (Winter 2004): 87?95, traduccion de Rodrigo Betancur. Sobre el Origen de la Propiedad y la Familia (text version on Mises.org), Spanish translation of “On the Origin Of Private Property and the Family” (version published as Historical Notes No. 48 [Libertarian Alliance], 2007) (This paper was first presented at the 2nd annual meeting of the Property and Freedom Society, held in Bodrum, Turkey, May 24-28, 2007. It is an abstract of a long chapter within the framework of a major book project), traduccion de Rodrigo Betancur. La Justificacion Ultima de la Etica de la Propiedad Privada, Spanish translation of Chapter 10, “On the Ultimate Justification of the Ethics of Private Property,” of The Economics and Ethics of Private Property, traduccion de Dante Bayona. La Conexion Liberal-Marxista , Spanish translation of Marxist and Austrian Class Analysis, Ch. 4 of The Economics and Ethics of Private Property, traduccion de Dante Bayona. Falacias de la Teoria de los Bienes Publicos y la Produccion de Seguridad, Spanish translation of Fallacies of the Public Goods Theory and the Production of Security, traduccion de Libertas. Porque los Peores Gobiernan (Spanish translation of Why Bad Men Rule, LewRockwell.com, Nov. 8, 2004; traduccion de Rodrigo Betancur). De la Idea de una Sociedad de Derecho Privado (Spanish translation of From The Idea of a Private Law Society, LewRockwell.com, August 1, 2006; traduccion de Rodrigo Betancur). Las Elites Naturales, los Intelectuales y el Estado (Spanish translation of Natural Elites, Intellectuals, and the State; traduccion de Rodrigo Betancur). Entrevista al profesor Hans-Hermann Hoppe, Liberalismo.org, por Antonio Munoz Ballesta y Silvia Cabrera Ballester (2004) (version published in El Catoblepas, numero 34, diciembre 2004, pagina 23). Spanish version: Democracy: The God That Failed is now also available in a Spanish translation under the title Monarquia, Democracia Y Orden Natural. Una Vision Austriaca de la Era Americana. The book has been translated by Prof. Jeronimo Molina (University of Murcia), who has also written a Spanish introduction. The book can be ordered by email. Against Fiduciary Media, by Hans-Hermann Hoppe, with Jorg Guido Hulsmann and Walter Block, Quarterly Journal of Austrian Economics, Vol. 1 Num. 1 (1998): Spanish translation by Libertas. Fallacies of the Public Goods Theory and the Production of Security, Journal of Libertarian Studies, Vol.9, 1, 1989: Spanish translation in: Libertas, Vol. XIII, No. 24, May 1996.